While a mom endlessly paces around the room, bouncing slightly, and rhythmically patting the back of a newborn all the while humming to the tune of a lullaby, when suddenly the newborn starts to screams her lungs out. Tears are streaming down mom's cheeks. She doesn't know what to do anymore. She's offered her a bottle, and the baby wouldn't take it, mom has changed the baby's diaper twice (even though it was dry both times), and she's checked to make sure there are no hairs wound tightly around the baby's toes. Still, the baby is screaming and carrying on like they're being tortured. One of the most heart-wrenching sounds for any new mother is the sound of her newborn crying. In an effort to help mothers and medical professionals, Professor Dieter Wolke from the University of Warwick and his team analyzed different studies from around the world in an effort to understand how long babies normally cry for, and whether or not that length of time changes depending on where the baby lives. This crying chart is one of the results of that analysis. While it might be annoying, crying does let moms know how their baby is doing. As you are probably aware, babies don't come with a manual. At least not one of the written kind, crying kind of acts like that manual. By crying, or not crying, babies give their parents the information moms and dads need to know who to care for the baby in that instance. It helps moms know that the baby needs to be held, changed, fed or helped to sleep. Sometimes it lets mom know that the baby simply wants mom's attention. This is sometimes called a fake cry or a calling cry. 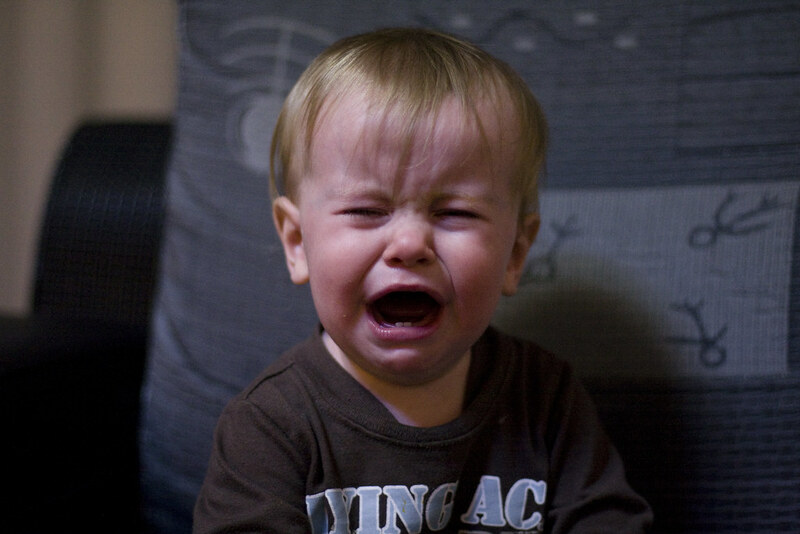 This type of crying, and the mother's response to it, helps babies to develop emotionally and socially. One of the reasons that mothers are so bothered by their infants cry, or so driven to try and help their child, is because their brains are wired that way. In a study involving mother mice, scientists discovered that oxytocin helped new mothers better hear their infants cry. When a mother mouse heard her baby crying, oxytocin flooded her brain, specifically the left auditory cortex, which is responsible for hearing and interpreting sounds. As she got used to mothering, she became better at understanding what her baby’s cries meant and thus better at responding to them. While that study was with mice, a different study suggests that the same thing happens with humans. Eighteen men and women heard a hungry baby cry while daydreaming in a brain scanner. The women’s brain activity changed when they heard the cry and they stopped daydreaming, the men’s brains did not change. One thing that this chart shows us is that the length of time babies spend crying is actually country specific. So mothers who live in Canada, the United Kingdom, Italy, or the Netherlands are going to have to deal with more tears than mothers who live in Germany, Japan, or Denmark. It must be quite nice to be a mother in one of those three countries where babies cry the least. According to Wolke and his team’s analysis, American babies are also at the higher end of the chart in regards to how long babies cry. While infants in the States might not cry for as long as their neighbors to the North, the gap between how long they are crying isn’t very noticeable, and it’s probably much less noticeable when you are holding a crying child. While this study doesn't have all of the answers behind why babies around the globe are crying for different lengths of time, it is the starting point. Now that we know that German babies spend less time crying than American babies we can try and figure out why. For instance, the authors speculate that one reason for the differences could be caused by the differences in economic conditions in the different countries. 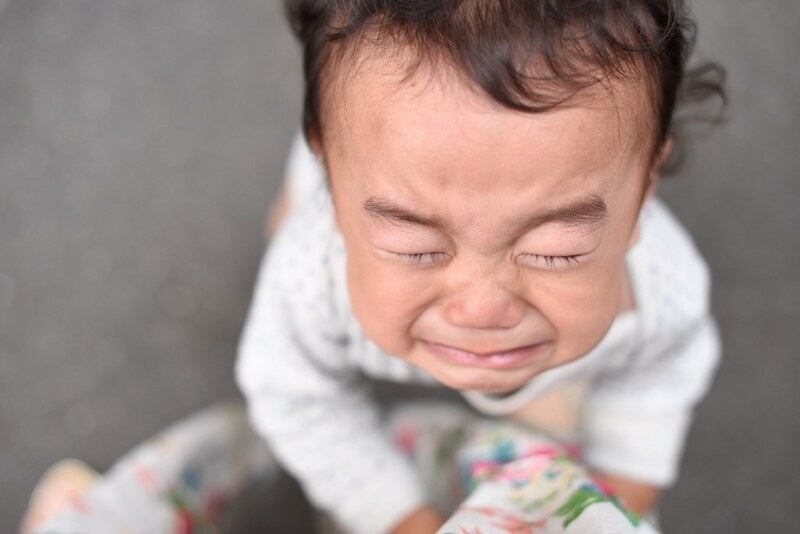 Another reason might be due to the way we parent our children, for instance, how responsive we are to our children and how quickly we respond when they start crying. Still, another factor could be our genetics. Then once those studies are conducted, if the results are that the babies of some countries cry less than in others because of the way their parents interact with them, then we can try and change our parenting style to better meet the needs of our kids. In addition to drawing attention to the differences between how families in different countries raise their children and how that might result in more or less tears, this study also demonstrates that there are some similarities no matter where a child lives. For instance, no matter which country a child lives in, they all cry for the same reasons: they're hungry, they're tired, they need a new diaper, or they want to be held. 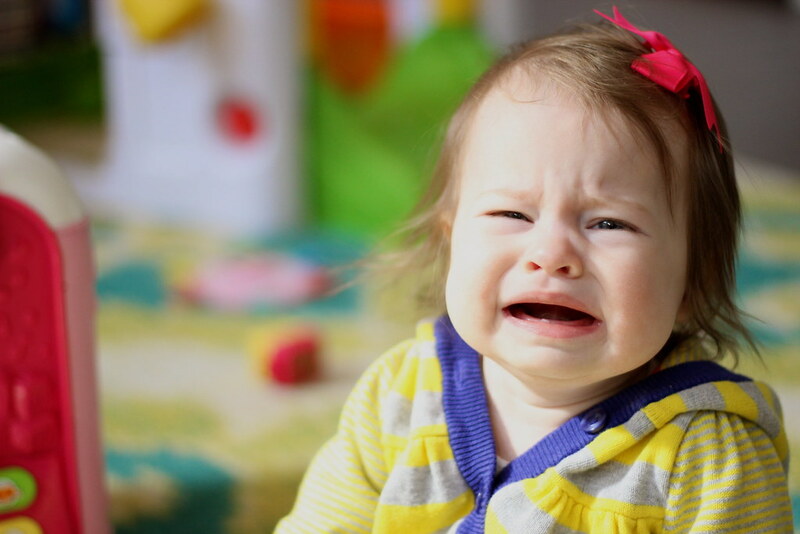 Another reason that babies cry, and one reason that this study focused on, is for no apparent reason. 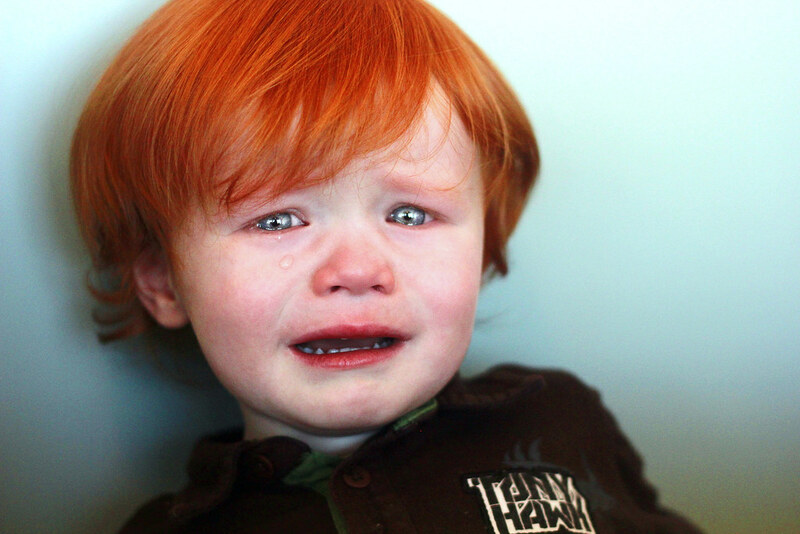 The common name for this type of crying is colic, another name is the period of purple crying. This crying can start and stop for no reason that you can determine, it doesn't stop when you're trying to console your baby, and it can last for a long time. Another reason that this chart is so important is because it shows that how parents and health care professionals need to change the way they think about and define colic. Currently colic is defined using the Rule of Three’s, which means a child cries for more than three hours a day, for more than three days a week, for more than three weeks, or the Modified Wessel Criteria which means the baby cried for more than three hours on three different days in one week. However, according to this chart, the problem with those standards is that they don’t take into account how old the baby is or which country he lives in. One reason that’s the baby’s age is important is that there is a spike in crying around the five to six-week mark, so if that’s the week parents choose to use to check against the Modified Wessel Criteria, their child is more likely to be labeled colicky even if he isn’t. 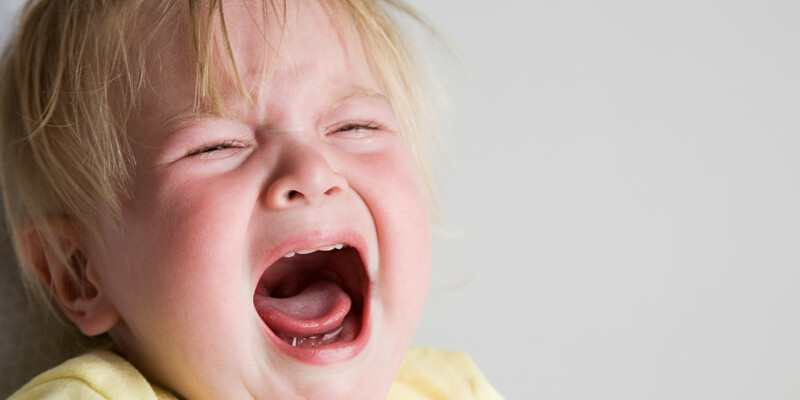 Most mothers are aware that babies sometimes cry for no apparent reason, or that some babies are colicky. It’s seen as an unfortunate aspect of parenting, and moms are often very sympathetic or pitying towards other moms who are suffering from endless tears. This chart is helpful for parents who have the colicky baby or the one who isn’t colicky but simply falls on the higher end of normal because it proves that they are not alone. Sometimes, simply knowing that out of almost 8700 babies a full quarter of them are considered colicky, can be super encouraging and helpful when you’re feeling stressed and upset by your child’s cry. Especially when you consider the fact that the studies Wolke looked at were all finished, so those moms made it through the tears. Solidarity moms, you can do this. 5 This Goes On For How Long? 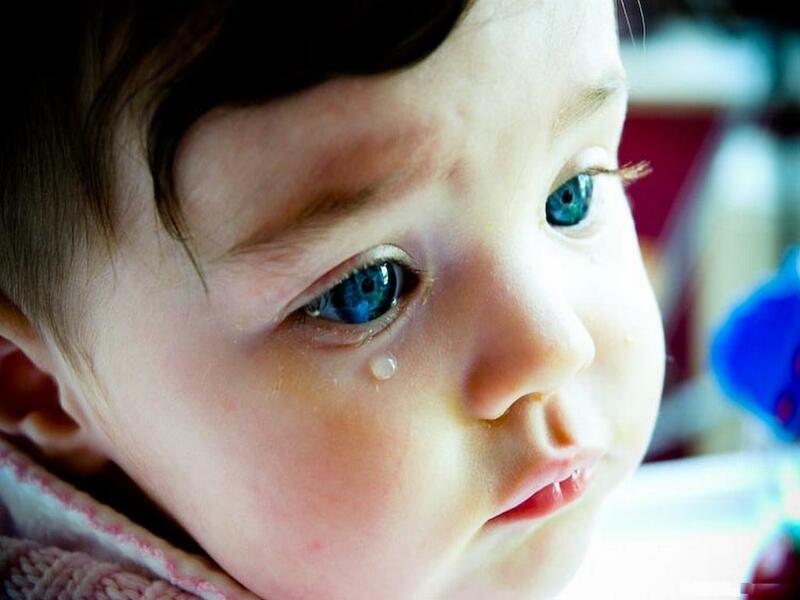 Before your child is born you knew that babies cry. People told you all the time that your baby's crying would keep you up at night. But you also knew that Sally’s baby down the street never seemed to cry at all. So when you had a baby, you weren’t really prepared for how much kids can cry. This chart, which looks at so many children, can show you how much your child is likely to cry based on where you live. And unlike phrases “oh you know, a lot,” “I swear she cries all the time,” and “my baby doesn’t cry at all,” this chart breaks it down into hours. So now you have a specific number. For example, in the first six weeks, your child is likely to cry for periods that last somewhere between 117 and 133 minutes. It also shows parents how crying changes as the babies get older. While you might expect the length of time it takes for your child to calm down to get shorter as you start to recognize whether that was their hungry cry or their dirty diaper cry, this chart shows you that there is actually a bump around five to six weeks. And then things seems to steadily decline. Knowing about this bump in crying is great for a couple of reasons. First, you know you're not doing something wrong, even though it probably feels like it. This bump in crying happens all over the world. Second, once you hit that small spike you know it's going to get better in a few weeks. This chart also provides a guideline for how long a child normally cries for. This is helpful for parents whose baby cries for longer than the average because they know for sure it's outside of what is considered to be normal. Armed with this knowledge, they can get the baby help. And while simply knowing that your child is spending more time crying than most children her age doesn't sound like a good thing, it is, because knowing that their child is crying for an abnormally long time based on research, can take away some of the guilt they might feel for asking for additional help from their partner, or asking their care provider for additional help and support with coping. And getting that extra support is good for both mom’s mental health and baby’s well being. Even if your child cries for the normal amount of time or for a less than average length of time when it’s the middle of the night and you are up for the seven billionth time trying to rock him back to sleep it doesn’t feel normal. This chart can help parents in that situation too because it reminds them that all babies cry. It's normal. Depending on his age your son might cry more or less than he did a week ago, but as long as he’s a baby, he will still cry. And just because you can’t seem to calm him down this once doesn't mean you as his parent are doing something wrong. Sometimes he will cry to tell you he is hungry, or tired, and sometimes he will simply be sad. This study also reminds parents that there are ways for them to help their child calm down. While sometimes you might have to ride out a wave of inconsolable tears, for the most part, you can learn to recognize their hungry cry, or their sleepy cry and then you can use that information to help them calm down by feeding them or rocking them to sleep. You can even learn to recognize their, "I just want to cry tears," so you know that when they aren't calming down in spite of your best efforts that it's not you as a parent, they just have some big emotions that they want to let out right now, just like you might find yourself crying for reasons you can’t explain sometimes. There are times where it's ok to put the baby down and just give yourself a short break from the tears.